Yuriy Lutsenko says the faction did not think it through. 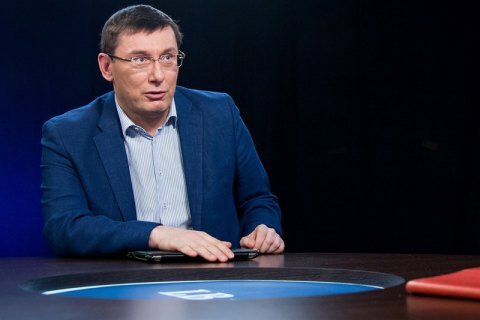 The Petro Poroshenko Bloc faction will revise its list of candidates for ministers, its leader Yuriy Lutsenko has said on Facebook. "The Petro Poroshenko Bloc faction did not take any decision to nominate certain individuals as ministers. The faction took no decision on the dismissal of some ministers either. In fact, the faction only suggested seven persons for consideration. However public reaction showed that yesterday's discussion was superficial and light-minded. As the faction head, I am going to touch upon this issue once again. I would ask my colleagues once again to remember that the point is not to employ someone but to increase the government potential in the times of the biggest threat to the state," he said. On 1 February, the faction endorsed its list of candidates for a new government. The nomination stirred angry reaction from politicians and the public, the US ambassador to Ukraine among them. Deputy faction head Ihor Kononenko later said that it was a draft and that the final version would be available after consultations with the coalition. Another faction member, MP Serhiy Leshchenko however insists that the list was not considered as a draft.